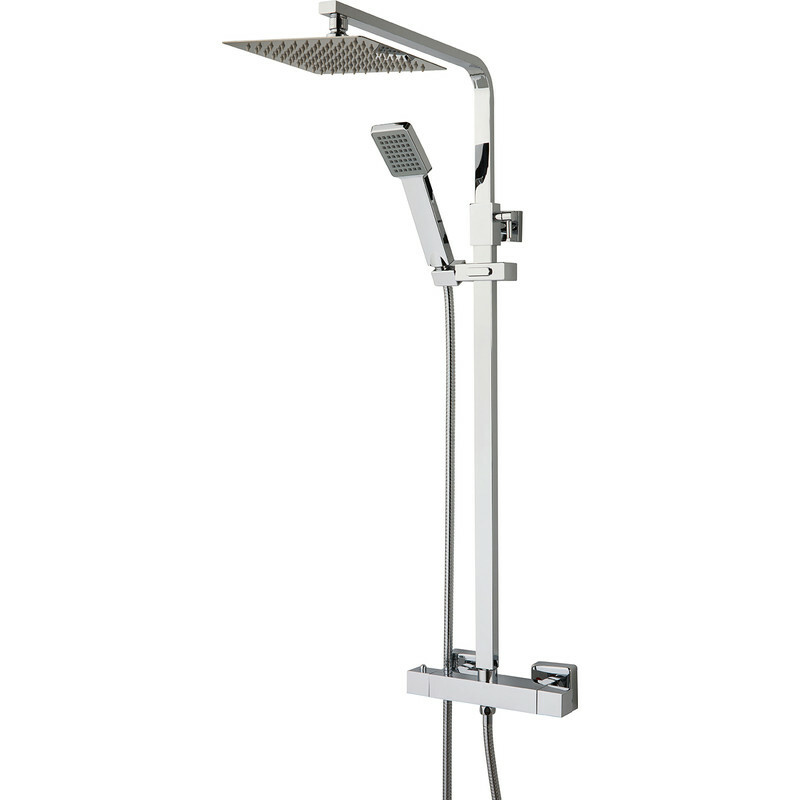 Orkney 2 Thermostatic Square Rain Mixer Shower Valve & Kit is rated 2.3 out of 5 by 7. Rated 1 out of 5 by Debs321 from Awful Bought this under 2 years ago, after 1 year the barrel in the temperature knob went! They sent us a new one but to fit we needed a special tool that comes with the complete shower and the plumber had taken it/thrown it. We asked if we could purchase one and was told to use a screwdriver and tap it with a hammer. Well we managed remove the barrel.and fit the new one. 6 months on its gone again. We are going to give up and buy another shower, which means having to pay a plumber to fit it. Terrible quality, cheap for a reason. Stay well clear. Rated 1 out of 5 by Mr Black from The mechanism that slides the shower doesn't work Don't buy this. I bought two for my new extension for the bathroom and the EnSuite. The mechanism that slides the shower up and down doesn't work from day one. I fixed with elastic bands because to return it I have to pay the plumber to remove it. Please don't buy and if you must. Test the sliding mechanism before installing it and see it for your self. Also the main top shower head of one if then doesn't work after one week the water comes on for 2 seconds then start dripping. I don't think it is the water pressure because when I use the shower in the old EnSuite its difficult to control the shower head when off the rail because how high the pressure in our house. Rated 2 out of 5 by Kas92 from Great shower but bad experience! I bought this last week and the box was damaged slightly but since it was the last one in stock I bought it. Upon opening the box at home, the mixer looked worn out so I had to go in-store to exchange it. Numerous parts were also missing from the box which I only realised a few days later when it came to the plumber fitting the shower on. I had to make a few trips just to collect missing parts. Happy with final product but very unhappy with the missing/faulty parts and wasted journeys to store again. Rated 5 out of 5 by catman0210 from good quality shower Bought this for a job. Customer very impressed.